It’s difficult to know if a structure has a termite infestation without a thorough inspection. The presences of these dangerous insects can hollow out the inside of a wooden structure before you notice the hidden damage that can destroy your home. Adios Pest Control offers homeowner inspections and performs escrow inspections and clearances for your real estate transactions. We guarantee to offer the lowest price and we will beat any other written estimate for you! Adios Pest Control can protect the most important investment you may ever make. A thorough inspection of your property by Adios Termite Inspection experts is an important first step in termite control. 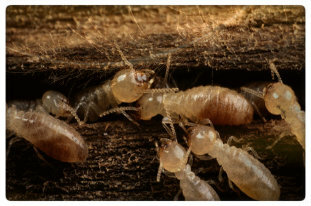 From drywood termites to subterranean termites, each sometimes requiring different types of treatment, Adios Pest Control can prevent the worst. We offer the best price in the industry, we guarantee to beat every competitors price or the fumigation is free! The most widely known style of treatment is whole-structure treatment, the simultaneous treatment of all termite infestations, accessible and inaccessible. Since many colonies may exist within a single structure, small colony size is no indication that the presence of termites is not widespread. Localized or spot treatment is more limiting, often applied to a single board or small group of boards. As a homeowner, you should be fully aware of the difference between whole-structure and spot treatments and decide which method to choose in your circumstances. Adios can help you select the right method to use for your home. All treatment methods are NOT equivalent .Be aware that whole-structure treatments are usually preferable to spot treatments because they can eliminate all infestations, even hidden ones. In some cases residual insecticides, applied to the soil, either as pretreatments or post-construction, are necessary for to eliminate termites. 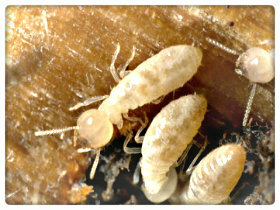 Termite bait products may also be necessary to eradicate underground colonies altogether. Call Adios Pest Control today at (866) 955-7378 to arrange for your termite inspection and protect your investment and defend your home.